The Parent Workbook will help parents to learn the school structure and what is essential at each grade level, how to track their student's academic progress, how to support their students with homework and out of classroom projects and how to advocate for their students by developing a relationship with their child's teacher on day one. 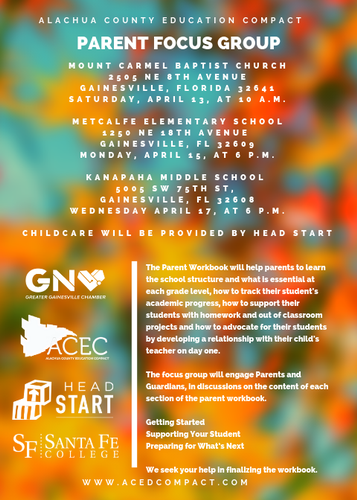 The focus group will engage Parents and Guardians, in discussions on the content of each section of the parent workbook. We seek your help in finalizing the workbook. 6:00 P.M to 7:30 P.M.